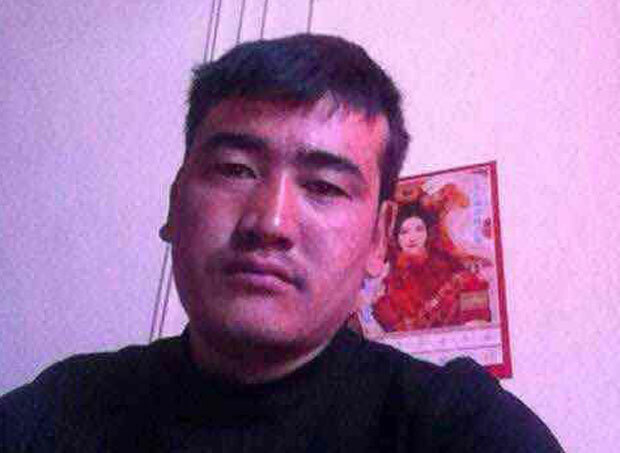 (TibetanReview.net, May21, 2015) – The number of self-immolations in Tibet since Feb 2009 by Tibetans protesting against Chinese rule has touched 140 with Tenzin Gyatso, a 35-year-old father of four, setting himself ablaze in Tawu (Chinese: Daofu) County of Kardze (Ganzi) Prefecture, Sichuan Province, on May 20. The incident occurred at around 8:00 pm near the government buildings of the county’s Khangsar Township, said several online Tibetan and other media reports. Chinese police arrived on the scene very soon and took the man away. Four girls – Tashi Dolma, Tsering, Choetso, and Rigzin Lhamo – were also taken away following a tussle for custody of the burned man, reported Radio Free Asia (Washington) May 22. Police informed the man’s family in the afternoon of the next day that he had succumbed to his burns. Tenzin Gyatso’s self-immolation followed weeks of harassment and intimidation of the local Tibetans after the arrival of a new deputy governor in the county, the report said. He was reported to have launched a crackdown on Tibetans suspected of planning to organize alleged ‘separatist activities’, including celebrations to mark the 80th birthday of Tibet’s exiled spiritual leader, the Dalai Lama. The report quoted a local source as saying the new deputy governor of the county ordered Tibetans to sign undertakings not to hold celebrations, beating and forcibly shaving the heads of those who refused to sign. He also held parades by Chinese security forces to intimate the local Tibetans. Tenzin Gyatso was said to be upset that Chinese security forces had been sent to the township few days earlier to prevent Tibetans from holding celebrations marking the 80th birthday of Tibet’s exiled spiritual leader, the Dalai Lama, according to Radio Free Asia (Washington) May 21. According to VoaTibetanEnglish.com May 21, Tibetans in Tawu County had gathered a few days before the incident to organize a political and educational awareness programme on Tibetan identity and culture as a tribute to the Dalai Lama ahead of his 80th birthday in July. Chinese authorities were reported to have objected to the event and sent in police and paramilitary police who at once set out to beat the Tibetans. Some who objected to the unprovoked brutal attack by the Chinese were taken away. Tibetans made repeated appeals for their release, but without success, leaving many of them very disappointed. Following the self-immolation incident, Chinese security forces were reported to have carried out searches; interrogated, harassed and beat up some, and taken away several Tibetans for what they said were disapproving looks on their faces. As happens after every such incident, the Chinese rushed extra security personnel to the township and imposed restrictions on the movement and communication access of the residents. Tenzin Gyatso is the fourth Tibetan to self-immolate in Tibet this year and the sixth in Tawu County overall. He was preceded in Tawu by monk Tsewang Norbu on Aug 15, 2011; nun Palden Chotso on Nov 3, 2011; Wanchen Dolma on Jun 11, 2013; Trinlay Namgyal on Apr 15, 2014, and monk Kalsang Yeshe on Dec 23, 2014.